Hey everyone! Last week we announced a lengthening of our targeted August release window and before you get too excited we will sadly not announce a new date in this development blog. Missing another deadline was not fun and of course very frustrating to listen to disappointed fans, we are very thankful that most people were still very understanding and encouraging. We have been working around the clock the latest week and we now count over 90+ reported bugs solved since the internal testing program began. We estimate that the most critical ones, which we talk about in the previous development blog, have been mitigated by now. We have in relation to theses bugs also found vital logical and performance related loop holes in some core game controlling systems such as the job task handling system and zoning systems. For these reasons we have put a lot of effort into performing some vital overhaul on these systems, which means that they are now more stable than ever and are optimized for multi-concourse support (i.e. several security areas, not yet activated for multi terminals which requires more work). 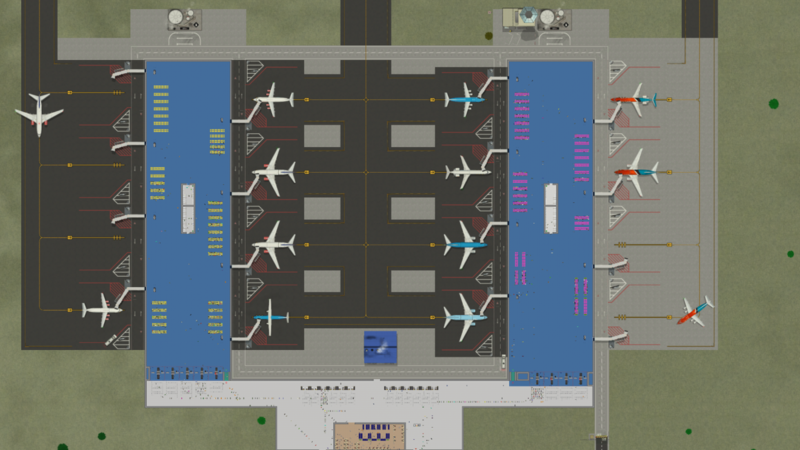 In excess of this we have also been able to do some stress testing on the biggest airport so far built, kindly provided to us by a tester containing 40 medium stands, 6000+ passengers and 300+ employees. 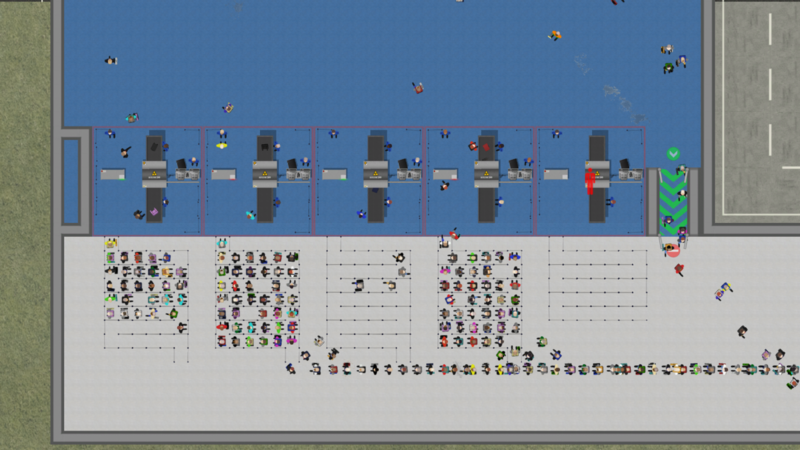 Unfortunately, this world was saved in a weird position due to a critical bug with the security check-point simulation (which is now of course solved) causing all passengers to call path finding at start after load. While this simulation state drags down the FPS to an estimated 10 to 15 FPS (not accurately measured) on our mid-range machine (Windows 7, Intel Core i7 2600K, 16 GB MHz DDR3, GeForce GTX 560TI) we are still hopeful for the performance and optimization aspect post release. We will do some more tests in this world on a higher end machine to try to find the limit of what is possible today. We are far from finished improving the game and are continuously working on aspects that can improve script and rendering impact and what stuff we can do faster and with lesser performance costs. 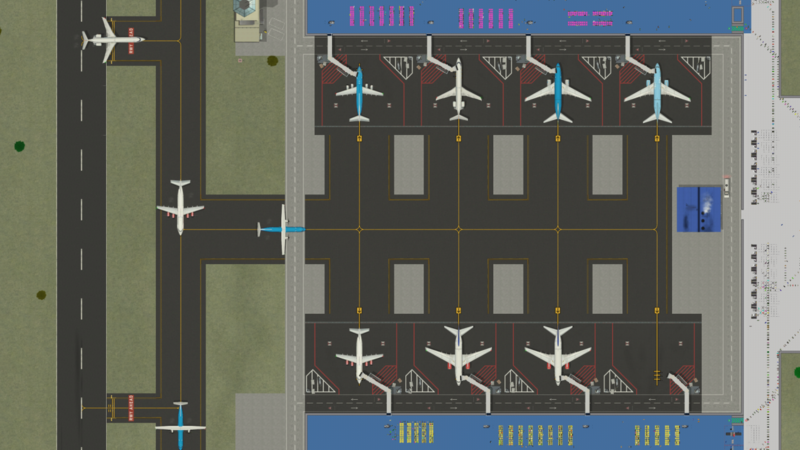 As you might know, we have posted a few screens of some airports built by testers and thought that we’d share a new picture dump with you this evening. They feature the same airports but at a somewhat different stage in the game as well as from a few different angles. We have rolled back the version counter and are continuously pushing new updates of the ACEO build. We’re currently on alpha version 0.19.0 which featured the following changelog. Previously this week we pushed alpha version 0.18.2 and for the sake of transparency the 0.18.2 patches are merged with the 0.19.0 ones. This week will be dedicated to continuing testing the v0.19.0 alpha build and see how it holds up. In the meantime we’re implementing a fully fleshed out conveyor belt system tutorial branch and will review some design related aspects in relation to teaching players how to build functioning conveyor belt systems (as we said it turns out to be quite complicated). 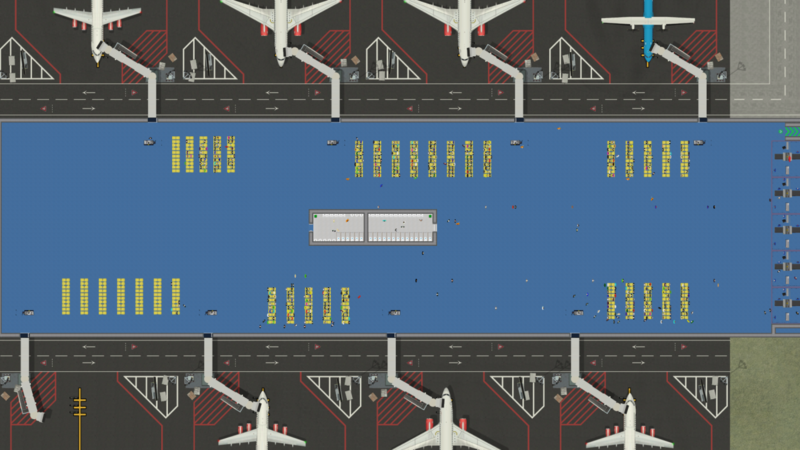 Alright then, as more testers build airports we will share them with you on Twitter (which will hopefully spread to other places as well) so be sure to be on the lookout! Looking forward to talk with you on our various channels, if you’re not yet an ACEO community member then get on in and join the warmth! Fly safe and see you soon!